Nu Skin Enterprises, Inc. is a global company that develops and distributes innovative consumer products, offering a comprehensive line of premium-quality beauty and wellness solutions to markets in Asia, the Americas, Europe, Africa and the Pacific. Nu Skin currently operates in nearly 50 international markets. Nu Skin’s rewarding business opportunity, innovative products and enriching culture continues to inspire people to transform their life. 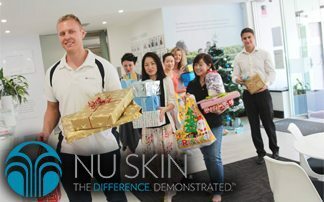 In 2017 Nu Skin celebrates 25 years of changing lives in Australia. Nu Skin was built upon the values of integrity, trust and sustainability. While it has provided premium quality products and a viable business opportunity, it has most importantly made a commitment to its Sales Leaders who shape the company’s future every day. By nature, the People of Nu Skin are curious, and the company’s proprietary science will help broaden the understanding of how and why we age. Empowered with this knowledge, Nu Skin will continue to develop quality health and beauty products that represent the brand promise: to inspire confidence today and optimism for tomorrow. 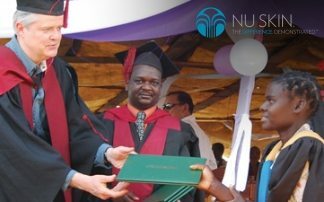 At Nu Skin, we are driven by dreams and thrive on being a business focused on people. We take every opportunity to put our dedicated Sales Leaders and Customers at the heart of our business, always. By making this conscious decision every day, Nu Skin reinforces the value of the brand around the world. Today more than ever, Nu Skin remains true to its mission to improve lives. Nu Skin Enterprises Inc. on Monday celebrated a company-wide Force for Good Day with a number of humanitarian projects around the world. Nu Skin received generous donations of Toys and Books for their “Force for Good Christmas Tree” and today proudly donated them to The Smith Family Christmas Appeal.